KRWG Public Media features segments with the Las Cruces Mayor's Top Teens in between programs on KRWG-TV. The full arichive of segments is available on the KRWG Top Teens YouTube Channel. 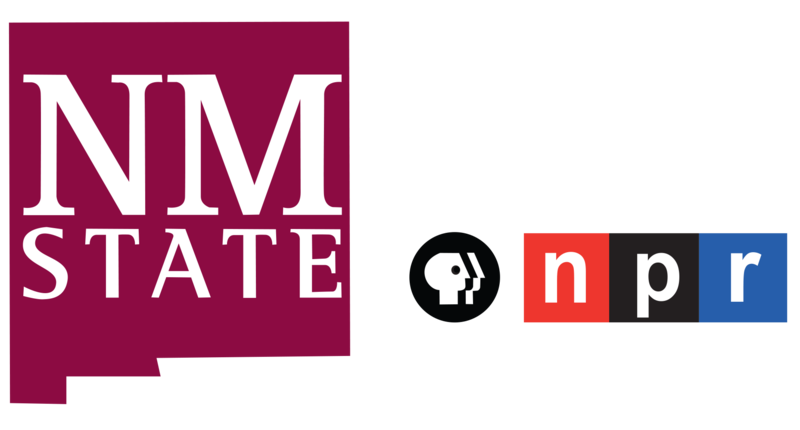 KRWG Public Media features interviews with the Las Cruces Mayor's Top Teens in between programs on KRWG-TV. KRWG is also featuring Top Teens on its website. Sky is a member of her high school Marksmanship Team, which won numerous matches at competitions in New Mexico and Texas. She is Executive Officer of NJROTC. Responsible for the management, administration and training of 130 assigned cadets. Plans and participates in community service and outreach. Competes as a member of the Marksmanship, Drill and physical fitness teams. She has achieved the position and rank of Cadet lieutenant while just completing her second year in the unit. Sky averages over 250 hours per year in support of organizations such as LCPS , VFW Post 6917, Senior Olympics, Morningside Village, and Las Cruces Rod Runners. KRWG Public Media features interviews with the Las Cruces Mayor's Top Teens in between programs on KRWG-TV. Each week, KRWG is also featuring a Top Teen on its website. Chaeley is a member of Student Government, the Fellowship of Christian Athletes, Media Program, and Renaissance. She is also a varsity cheerleader and pole vaulter for Centennial High School. In addition, she is a Junior Rotarian and a member of the National Honor Society. Through St. Paul's, Chaeley has volunteered for VBS, Children's ministry, and El Cavario. Through student government, she helped veterans and served as a child educator volunteer. Through National Honor Society, she has volunteered in various classrooms. Jacqueline is very active in extra-curricular activities. She is the Secretary of National Honor Society, a prom committee member, and she leads the student government team and the yearbook club. She was also selected to participate in Junior Leadership sponsored by the Greater Las Cruces Chamber of Commerce. Christa is a past participant of TeenPact Leadership School- a week long state conference that teaches middle school and high school students about government. Jaylen has high goals to graduate in the top 10 of her class with a 4.0 GPA or higher. She hopes to earn a degree in education to be a teacher and coach basketball. Her accomplishments include taking numerous AP and Honors classes, earning an academic letter, being a part of the National Honor Society, and playing Varsity Basketball.